Harley-Davidson expects to hire 125 to 150 employees for its assembly team in York County within the next two months. YORK, Pa. — Harley-Davidson workers across the USA are reeling from the planned closure of the motorcycle maker's Kansas City plant, even as the firm is expected to reap huge financial benefits from the federal corporate tax cut. The Milwaukee-based motorcycle manufacturer benefited from the tax cuts enacted Jan. 1, then announced cuts of 350 jobs across the company in late January. On Feb. 5 , it approved a half-cent dividend increase and buyback of up to 15 million shares. Harley’s U.S. sales have been sinking in recent years as Boomers decide they are becoming too old to continue riding and fewer younger people step up to take their place. As a result, Harley said it was forced to cut excess factory capacity. Elena Vesnina from Russia sits on a Harley- Davidson on display in Melbourne during the Australian Open Jan. 16, 2017. A Lebanese woman sits on a Harley-Davidson motorcycle as bikers wait at a parking lot in Beirut for the start of their three-day tour of Lebanon Oct. 1, 2010. Entertainer Billy Joel sits on his 2006 Harley Davidson Road King with a Liberty side car at 20th Century Cycles in Oyster Bay, NY. Nov. 26, 2013. A Harley-Davidson motorcycle sits in a window of the Milwaukee-based motorcycle company's New York Store Jan. 28, 2016 in New York City. President George W. Bush talks with assembly worker Bob Myers during a tour of the Harley-Davidson Plant in York, Pa. Aug. 8, 2006. Katie Brierton cleans the prototype of the Harley-Davidson electric motorcycle called the 'Live Wire' at the Progressive International Motorcycle Show in Long Beach, Calif. Nov. 14, 2014. A Batman-themed Harley-Davidson rider gets his side car off the ground along during the Harley-Davidson 110th Anniversary Parade in Milwaukee, Wis. Aug. 31, 2013. Craig Fetherolf helps Jim Lynch unload a 1986 Harley-Davidson FLHTC motorcycle from a trailer on in Owensboro, Ky., Friday, Jan. 13, 2016. Motorcyclists ride their Harley-Davidson bikes at Super Rally in Tallinn Estonia June 6, 2014. Super mascot Rocky of the Denver Nuggets on his Harley-Davidson as the Denver Nuggets host the Boston Celtics in Denver, Jan. 23, 2015. Former Republican vice presidential candidate and Alaska Governor Sarah Palin rides along during the 2011 May "Rolling Thunder" Memorial Day weekend parade in Washington D.C.
Members of the Benghazi motorbike club ride their Harley-Davidsons in Libya March 21, 2016. The club started in 2012 and has 22 members. Promotion hostesses Justina and Ty pose beside a Harley-Davidson equipped with a Cerwin Vega sound system at the 2017 Consumer Electronic Show (CES) in Las Vegas Jan. 7, 2017. “Unfortunately there is nothing that could have been done to address the pressure of excess capacity we have in the U.S. market,” Harley said in a statement. The company maintains that the dividend increase and stock buyback are unrelated to the tax savings. ► May 21: Loud Harleys: Is motorcycle noise sweet harmony or out-of-control din? Workers say they are dismayed. When Harley-Davidson announced in January that it would slash 800 jobs upon closing the Kansas City plant by fall 2019, Primeaux said he and other workers were in a state of "shock and awe." 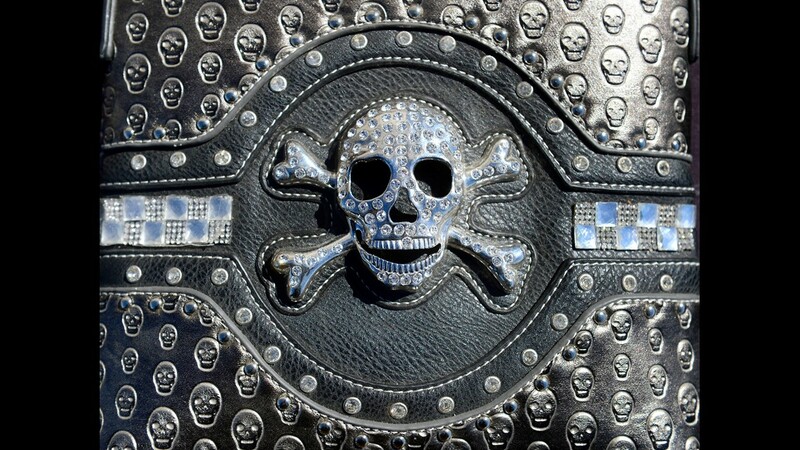 “It was like I was in a bad dream, just stuck in it," Primeaux told the network. In May 2017, Harley-Davidson had announced it was adding 118 workers at its Kansas City plant to consolidate Softail cruiser motorcycles and laying off the same number of workers at its Springettsbury Township facility near York, Pa.
Now with the Kansas City closure, 450 full-time, casual and contractor positions will be added in Pennsylvania, yielding a loss of 350 jobs overall. Days after it announced the plant closure, the company announced the dividend increase that would reward shareholders and cost the company about $846,000. The stock buyback plan, which has the effect of boosting share prices, was another expense of $696 million at the time, both to benefit shareholders. That came on the heels of the company's corporate tax cut from 35% to 21% percent and its previous announcement last year that a new motorcycle assembly plant in Thailand would open later this year. Rick Pence, who has worked at the Kansas City plant for 21 years, isn't buying that. "They are sending our jobs overseas. Absolutely," said Pence, a machine repairman. 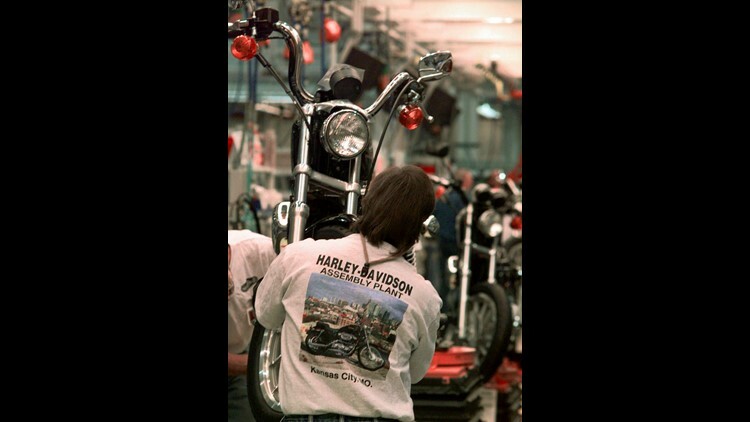 Wearing a shirt boasting his new workplace on Jan. 5, 1998, Mike Peel of Kansas City, Mo., works on a Harley-Davidson Sportster motorcycle at the plant in Kansas City, Mo. The plant was to have its official opening in October 1998. Milwaukee-based Harley has similar operations in India and Brazil, where complete motorcycles are assembled from kits. The Thai tariff on motorcycles assembled in the United States is about 60%, according to Harley. 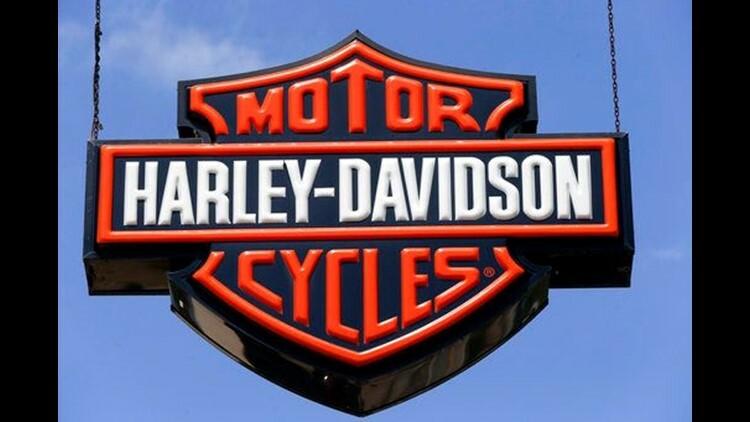 “By opening this plant, we expect our regional (Asian) operations to help reduce those costs,” Harley spokeswoman Katie Whitmore said last year. Company executives were asked multiple times what it would take to keep the plant in Kansas City, according to Kevin Amos, president Local Lodge 176 of the International Association of Machinists and Aerospace Workers whose members work at Harley-Davidson's Kansas City plant. He also has worked 17 years for the bike maker. He said he was under the impression workers were doing everything to keep the company in Missouri. “We thought we had met the mark. Clearly we didn’t,” Amos said. The workers agreed they have loved working for Harley-Davidson, and Pence said he felt like he had won the lottery when he got hired. Primeaux still is holding hope company leaders will change their minds and keep the plant open in Kansas City — not just for himself, but for his three daughters. “If my girls want to work there, it’s a good place to work,” he said to NBC News. When Harley-Davidson received news of the tax cut in September, House Speaker Paul Ryan said reform meant companies like Harley would be able to keep jobs in America. In January, a CNBC survey of the 100 largest companies by market capitalization determined that's not happening, and only 10 of those companies said they planned to use the tax savings to boost worker pay. Harley, part of the S&P 500, is not in the S&P 100. But Primeaux isn't holding the survey results against Congress or President Trump. “I blame the company more than I blame the president," he said. 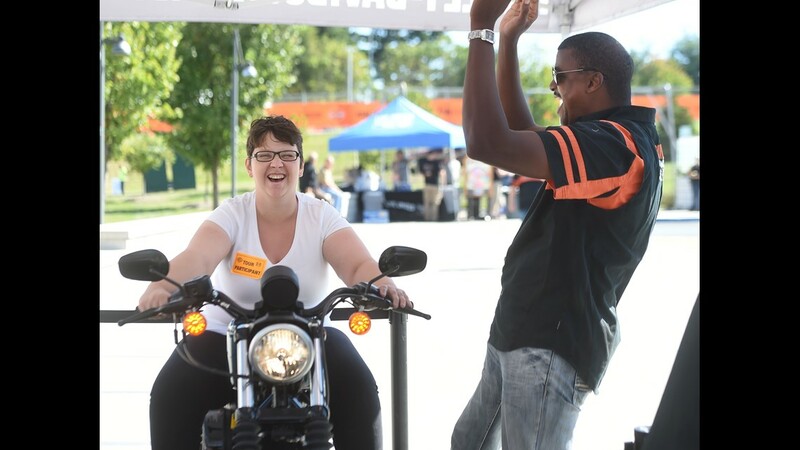 Debbie Bouhuizen, from Holland, is all smiles as Harley-Davidson employee Winston Perkins cheers her on as she participates in the Jumpstart Experience during the motorcycle plant's open house on Thursday. 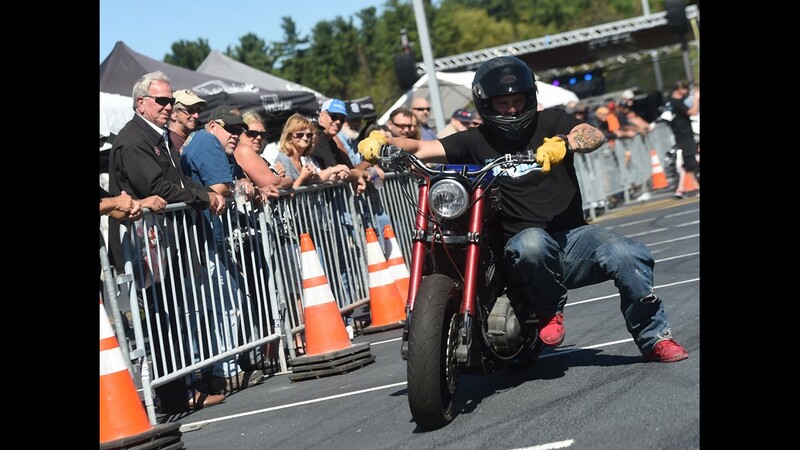 The experience, which allows visitors to sit and feel what it's like to set the controls on a Harley-Davidson Iron 883 motorcycle, is set on a stationary track. The open house continues on both Friday and Saturday from 9 a.m. until 4 p.m. 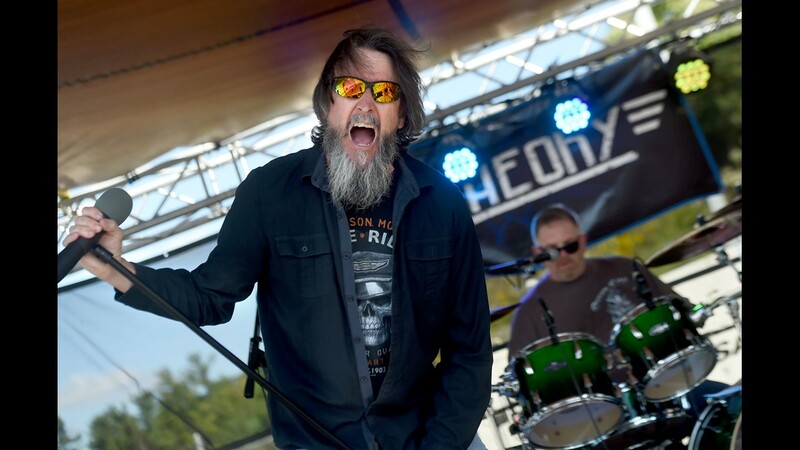 The band, In Theory, performed during the Harley-Davidson open house on Thursday, Sept. 28, 2017. The open house continues on both Friday and Saturday from 9am until 4pm. Satchel bag for sale at the 929 Customs stand during the Harley-Davidson open house on Thursday, Sept. 28, 2017. The open house continues on both Friday and Saturday from 9am until 4pm. 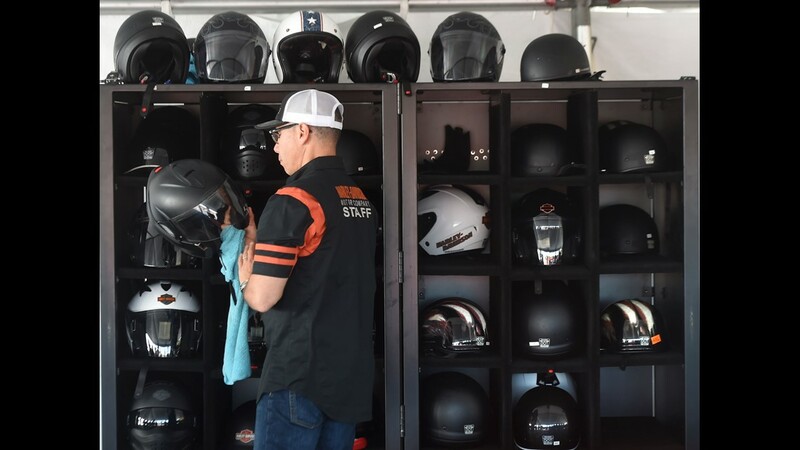 Andrew Najera with Harley-Davidson, cleans up helmets during the company's open house on Thursday, Sept. 28, 2017. The open house continues on both Friday and Saturday from 9am until 4pm. 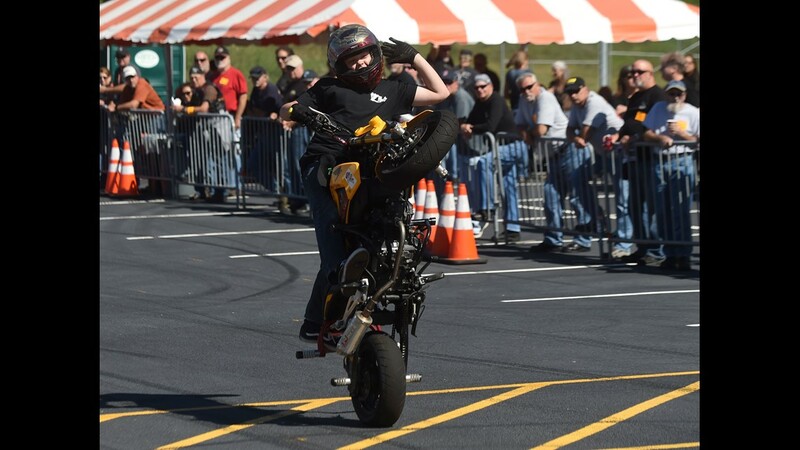 Cole Freeman, a stuntman for the Hill Conduct stunt team, shows his skills to the crowd at the team's stunt show during the Harley-Davidson open house on Thursday, Sept. 28, 2017. The open house continues on both Friday and Saturday from 9am until 4pm. AJ Soehlke, a 13-year-old stuntman for the Hill Conduct stunt team, tries to rally up the crowd at the team's stunt show during the Harley-Davidson open house on Thursday, Sept. 28, 2017. The open house continues on both Friday and Saturday from 9am until 4pm. Al Demers of Norrisville, Md. 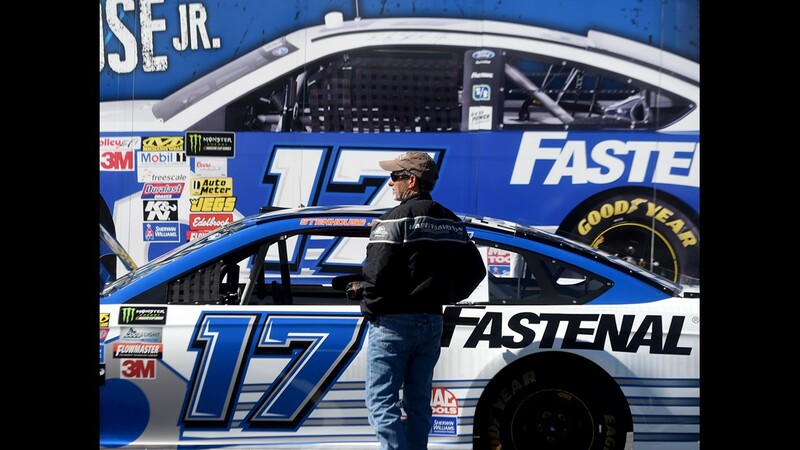 eyes up the Ricky Stenhouse, Jr. race car during the Harley-Davidson open house on Thursday, Sept. 28, 2017. The open house continues on both Friday and Saturday from 9am until 4pm. 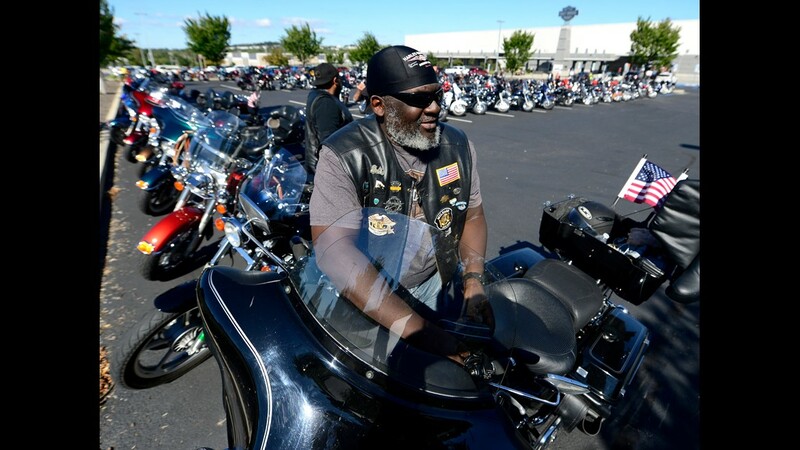 Scott Whitfield rode up from Germantown, Maryland, for the Harley-Davidson open house on Thursday. 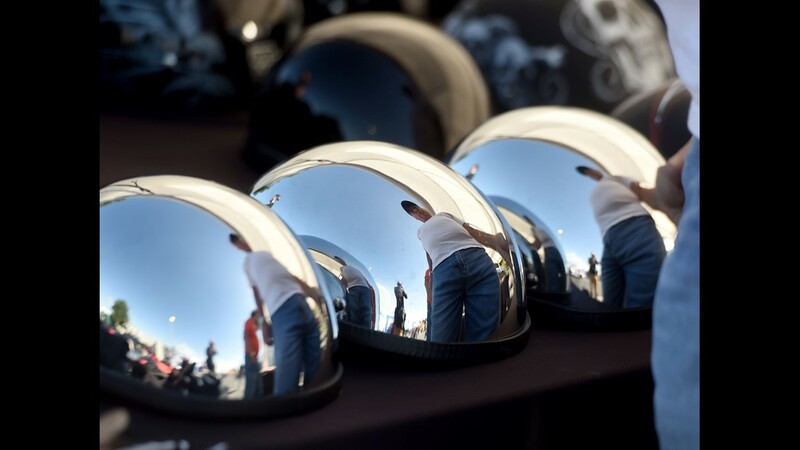 Jim Thomson of Dillsburg is reflected in the motorcycle helmets for sale at the 929 Customs stand during the Harley-Davidson open house on Thursday, Sept. 28, 2017. The open house continues on both Friday and Saturday from 9am until 4pm. 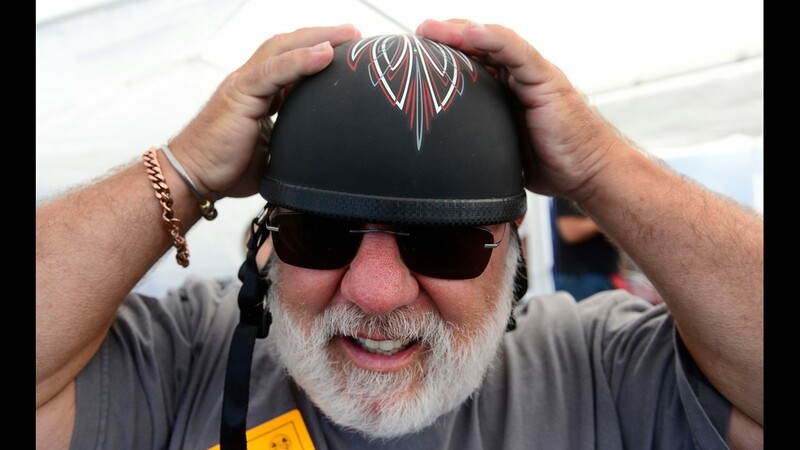 David Yohe, of Hanover, tries on one of the motorcycle helmets for sale at the 929 Customs stand during the Harley-Davidson open house on Thursday. The event continues on both Friday and Saturday from 9 a.m. until 4 p.m.